Are your network marketing prospects not committing? 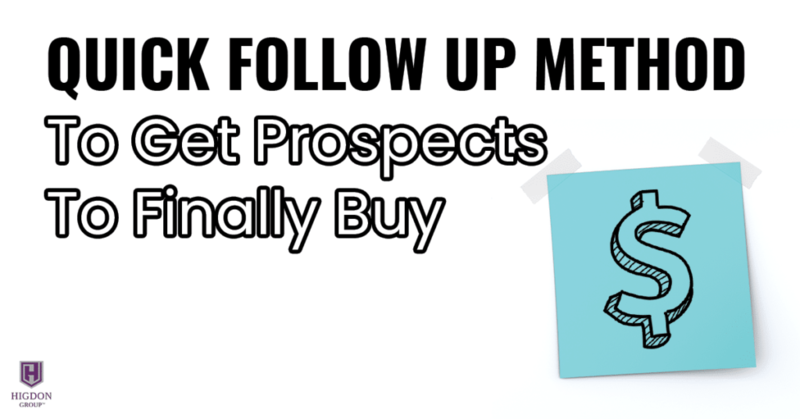 Here’s a quick and easy follow up method to get more sales. So, one of the things we teach inside of Rank Makers is that never be addicted to an outcome, or even a response. In a situation where your prospect doesn’t respond, you could draw all kinds of conclusions and create all kinds of stories on why it happened and whatnot. But the truth is you don’t know. I had tens of thousands of people that didn’t respond to me, because I reached out to so many people and I would followup. Don’t get so bent out of shape when people don’t respond to you. Even if they say, “I have credit card in hand, and I am ready to join right now, please send me the link,” and you send the link, and then you hear crickets. If you prospect enough people you’re going to have that kind of thing happen, and so I just wouldn’t get too bent out of shape. In the time you spend thinking about that person I would go prospect 10 more, and then the numbers work out. Don’t get so bent out of shape when people don’t respond to you. In the time you spend thinking about that person, I would go prospect 10 more, and then the numbers work out. You may have heard that the law of averages, safety in numbers. SINALOA: Safety in numbers, law of averages. There’s definitely truth to that. But, I would mix into there that we did followup with people and we did it in a very postured way. That’s what I would do after four days. A benefit. Like have creamier skin, glittery hair, more energy to go hiking with the grandkids, lose weight, ect.